It was mindless suffering. After my diagnosis, it felt like the universe was conspiring to make me miserable. The vertigo, the pressure, and “swarm of bees” that seemed to live in my ears were all driving me crazy. Things kept going wrong in my personal life, too. Sometimes it was a fight with my girlfriend, or a terrible grade on a college exam. My thoughts would spiral away from me as the anxiety grew in the pit of my stomach. Everything seemed so unfair. When our suffering is at its worst, its incredibly hard to be grateful for anything. We’re just not wired to naturally have gratitude when times are tough. For some reason, we have the unfortunate tendency to hone in on the cause of our pain with a focus and intensity rarely seen elsewhere in our lives. But it is completely possible to retrain your brain to focus on, and find the good in, every situation. 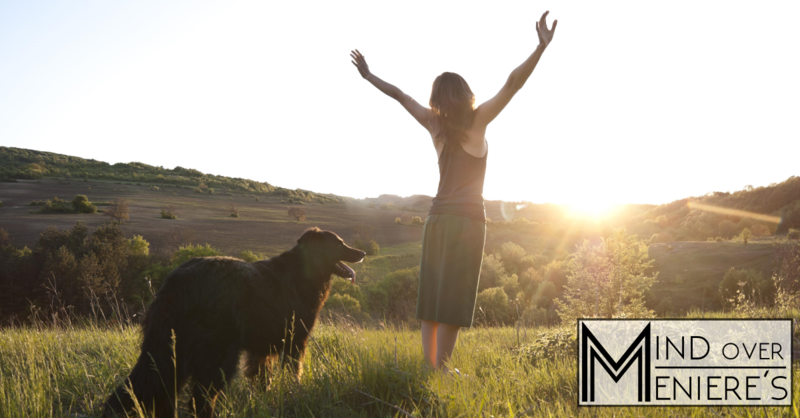 No matter where you are in terms of managing your Meniere’s symptoms, the lifestyle and mindset advantages of a gratitude practice are profound. It has the power to shift your focus from fear and negativity to one of hope and optimism. It reveals the silver lining, always hidden just behind the veil of your suffering. It allows you to truly enjoy the good days. And when the storm does come, you will endure, knowing in your heart that this too shall pass; that everything will be okay. You’ll need either a notepad, journal, or a piece of paper. Personally I like to keep a separate journal, specifically for my gratitude practice. The technique itself is extremely simple. Every day, make a list of 10 things you are grateful for. If a 10 item list seems too difficult, start with 5 items. Try to never repeat anything. At first, you will think of the obvious things to be grateful for; family, friends, and loved ones. As you go on though, you will find you have to really stretch your mind to fill out your list. You might get stuck, and that’s okay. Keep at it until you finish your list. Get creative with it! For example, if you are at home recovering from a vertigo attack, perhaps you are getting to spend time with your spouse that you wouldn’t have gotten otherwise. If your symptoms are under control but you are having a bit of brain fog, you can be grateful for a day without vertigo. I find it to be incredibly hard to be in a bad mood after focusing my brain so intensely on coming up with a list of things I’m grateful for. I can’t recommend this practice enough. The following is a technique that was invented by Heartmath, an amazing organization that studies the connection between the heart and the brain. If you are interested, it’s worth looking into further. The technique is officially called “The Quick Coherence Technique” and according to Heartmath, was designed to help you, “Find a feeling of ease and inner harmony that’s reflected in more balanced heart rhythms, facilitating brain function and more access to higher intelligence.” I have personally had amazing results with this technique and generally feel a deep sense of peace and gratitude afterwards. It can cause an immediate shift in your mindset and is a valuable tool in your Meniere’s toolkit. Step 1:Heart Focus. Focus your attention on the area around your heart, the area in the center of your chest. If you prefer, the first couple of times you try it, place your hand over the center of your chest to help keep your attention in the heart area. Step 2:Heart Breathing. Breathe deeply, but normally, and imagine that your breath is coming in and going out through your heart area. Continue breathing with ease until you find a natural inner rhythm that feels good to you. Step 3:Heart Feeling. As you maintain your heart focus and heart breathing, activate a positive feeling. Recall a positive feeling, a time when you felt good inside, and try to re-experience the feeling. One of the easiest ways to generate a positive, heart-based feeling is to remember a special place you’ve been to or the love you feel for a close friend or family member or treasured pet. This is the most important step. You can stop after a minute or continue for as long as you’d like. The final approach I will cover is an amazing product called the 5 minute journal. It’s a beautifully designed physical journal that takes only 5 minutes to complete in the morning and in the evening with daily prompts. It forces you to focus on the positive right as you wake up, and then to reflect back right before you go to bed. They also sell it as an app for your smart phone. The advantage of this system is its simplicity and ease of adoption. It’s incredibly simple to add into your daily routine. My fiance Megan leaves her’s on her nightstand and quickly fills it in each morning and night. It is a great approach to easily add gratitude into your daily routine. 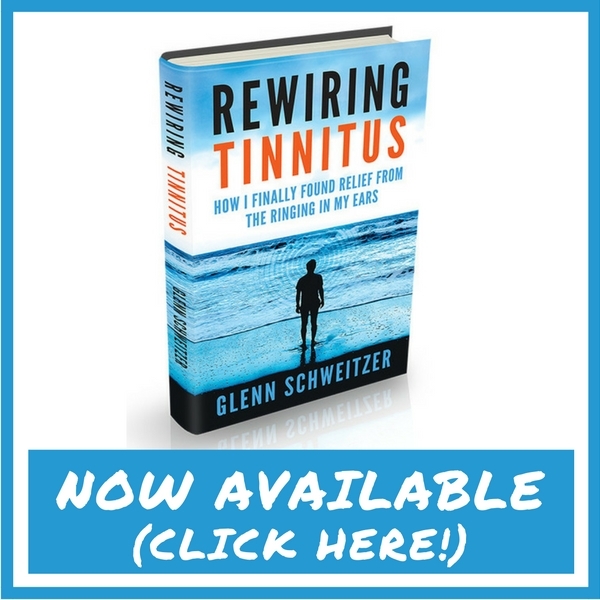 Each of these techniques has come in handy at one point or another in my treatment and management of Meniere’s disease. It has helped me to find peace and positivity on my worst days while keeping me present, to truly enjoy and appreciate the good days. I hope you can benefit from this simple practice as much as I have! This disease can never peat the ambition of who fight it back.I have it from my mum but on the age of 35 I have finished my bachelor in physiotherapy certificate as the first on my class with excellent rating. I concentrate on my future and my dream from childhood to become a physiotherapist to help paralized patient to walk and god helped me to make it true. I have never look to it as an obstacle rather than a challenge which I have to deal with it, not get over it (accomedate). On the other hand god and family support are crucial. You’re welcome Beth, glad you liked this one! this article really spoke to me. i have suffered with this disease for seven months, only recently officially being diagnosed. No one can prepare you for the lonliness and despair and fear that comes with it. I try and stay busy, it has ruined me financially, Some days, all i can say is at least it wont kill me. I really need help dealing with this. I found your article and video by accident and it felt so good to hear someone understood what I am going through.